The high cost of cooling your home due to the heat gained through windows can make up about 40% of your summer utility bill. 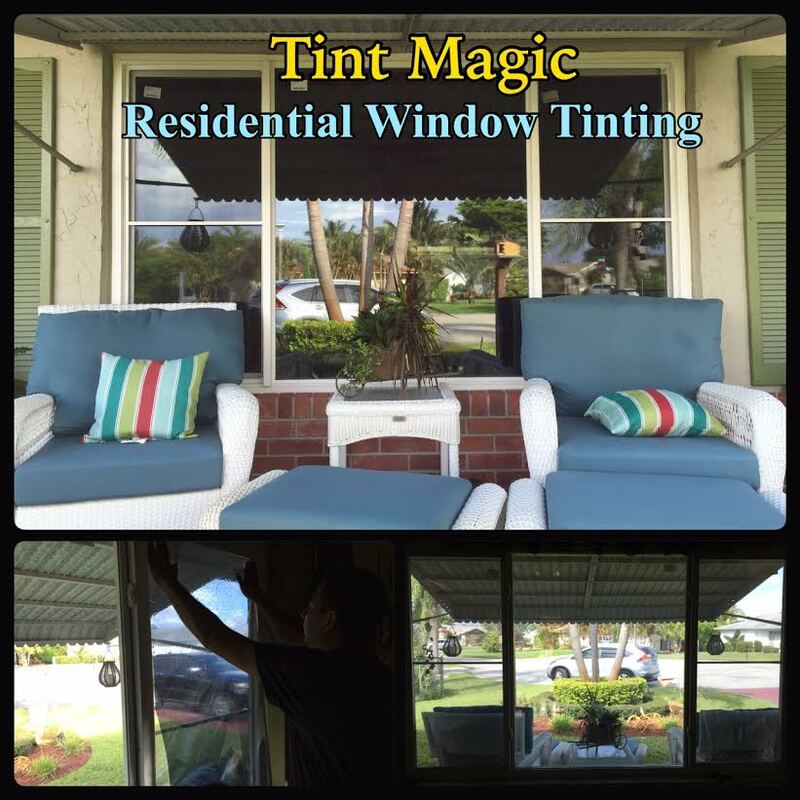 Residential Window Tinting can help reduce the heat gain by reflecting the heat, which helps lower energy consumption by your air conditioning system. Heat control coal window film can help you save on average 30% off your summer cooling costs. Thats money back in your pocket! Reflect solar energy to improve indoor comfort year round.Nothing adds life to your interior space more than great natural light from the sun, but with sunlight comes unwanted heat, hotspots and glare, which can really affect your overall comfort and make for a less inviting environment. Residential window films can reject heat coming into your home by blocking infrared heat energy or small portions of the visible light spectrum, thus providing you with greater temperature stability, comfort and glare control. Provide outstanding energy savings in the form of lower utility bills and a smaller carbon footprint. In this day and age, people are interested more than ever in helping our environment and preserving our precious resources. You can make a significant difference in your everyday life simply by reducing your air conditioning usage. 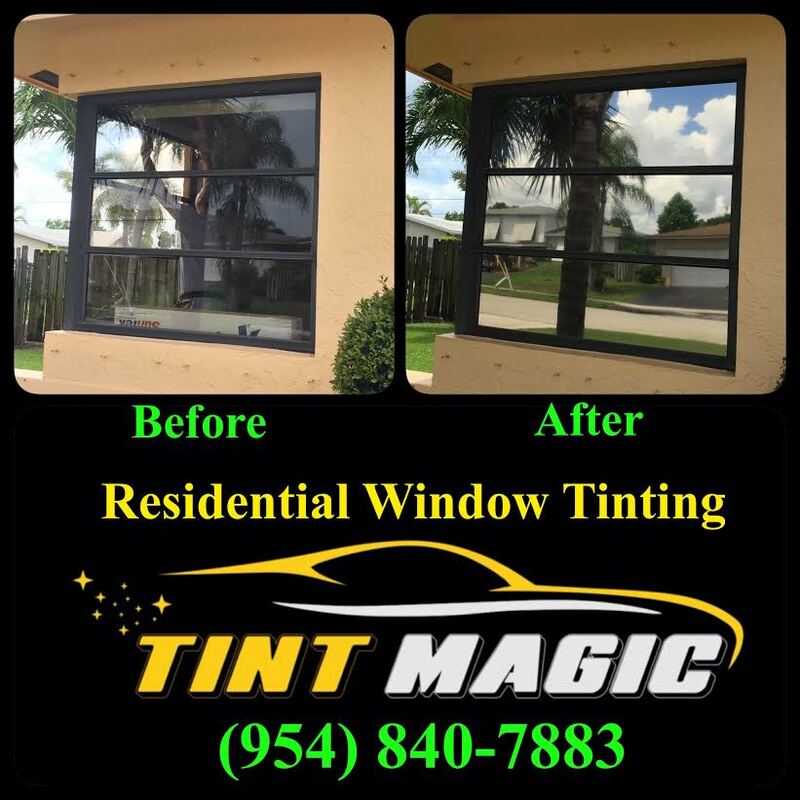 Tint Magic Window Tinting can help you do just that by installing window tint thereby rejecting heat and keeping interior temperatures more controllable and stable. By running your air conditioning less, you’ll consume less energy, reduce your carbon footprint and save money on utilities. Shield against ultraviolet (UV) rays that cause skin cancer and damage interior finishes and furnishings. Even inside a home or building, you, your family and your belongings are exposed to sun damage. UV rays cause fading and irreparable damage to your furniture, flooring, photographs, artwork and window treatments. And, most importantly, your skin is at risk as well. Many people think of this risk only when they’re outdoors but the truth is energy from the sun can be harmful and it easily enters our interior spaces. 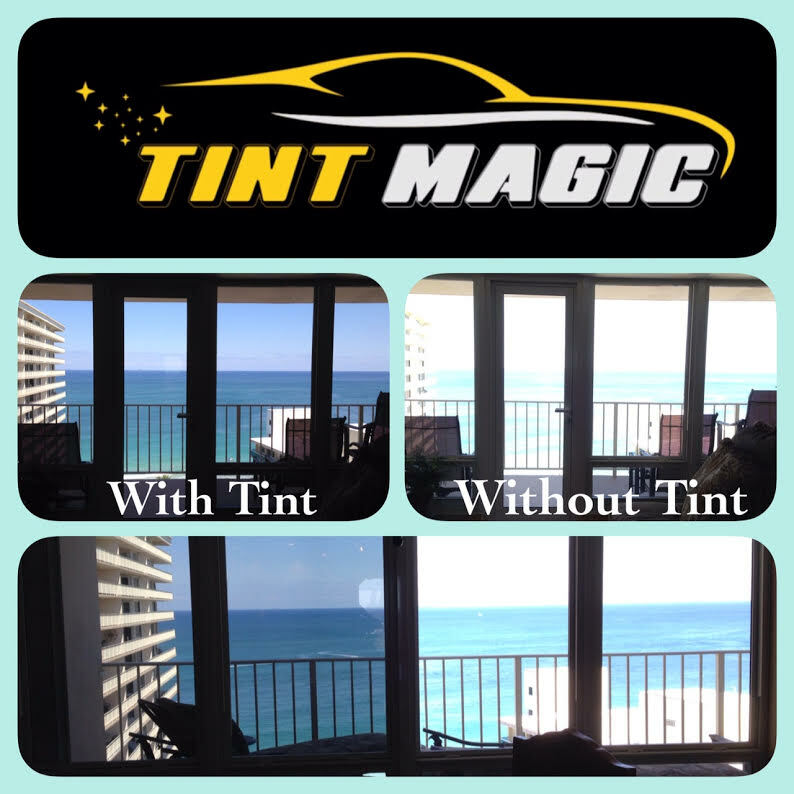 Window tint installed by Tint Magic will help a great deal by filtering visible light, rejecting solar heat and blocking over 99% of harmful UV light. This significantly reduces the sun’s damage potential and protects what you treasure most.